I'm passionate about seeking out light and goodness in the world wherever I can find it, and when I find it, I love to share it with others. 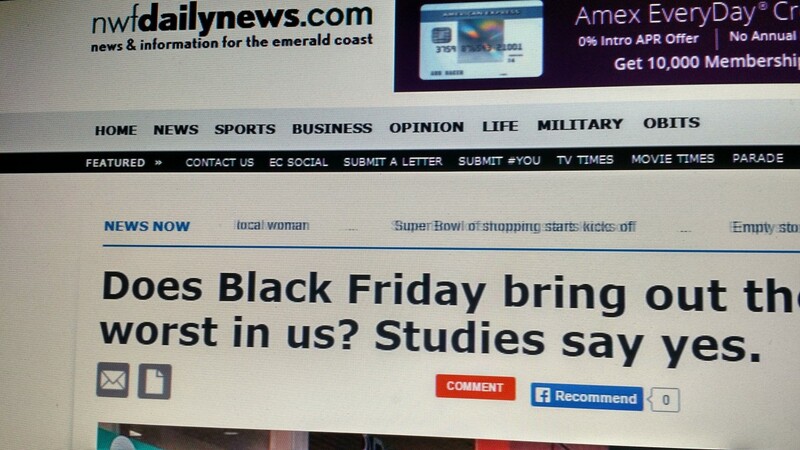 The first and only Black Friday I've ever worked in my life was back in 2006. I was working at Toys R Us and was expected to be there at an hour that was absolutely unreasonable in my mind (although, I have to admit I was secretly a little excited to be a part of the big Christmas season kick off since I love Christmas so much). I'm not talking about bright and early. I'm talking about so early that the only thing bright outside is the lights in the parking lot. Of course, I'd heard the tales of frantic Black Friday shoppers willing to do anything (including giving up precious sleep) to get a good deal, but somehow I was still amazed to see the long line of people waiting to get in the store before most of the employees had even arrived for work that dark cold November morning. I actually really enjoyed working that day. It was the longest shift I had ever worked, but we were so busy that there were never any breaks in my line, and it felt like the time was flying by. I enjoyed listening to the cheery Christmas music over the speaker system in the store (even if it did repeat itself every 45 minutes or so), and most of the people that came through my line were in pretty good spirits. Sure, there were a few grumpy customers who obviously would have been better off with a little more sleep and a little less coffee that day, but I just kept smiling and brushed their negativity off my shoulders with little thought. Black Friday was a chaotic work day for me, but in most ways, it was a good kind of chaos. Little did I know then, how dealing with this chaos day after day through the Christmas season would eventually affect me as I became more and more aware of the effect that Bad Santa (more on Bad Santa later) has on the Christmas spirit. 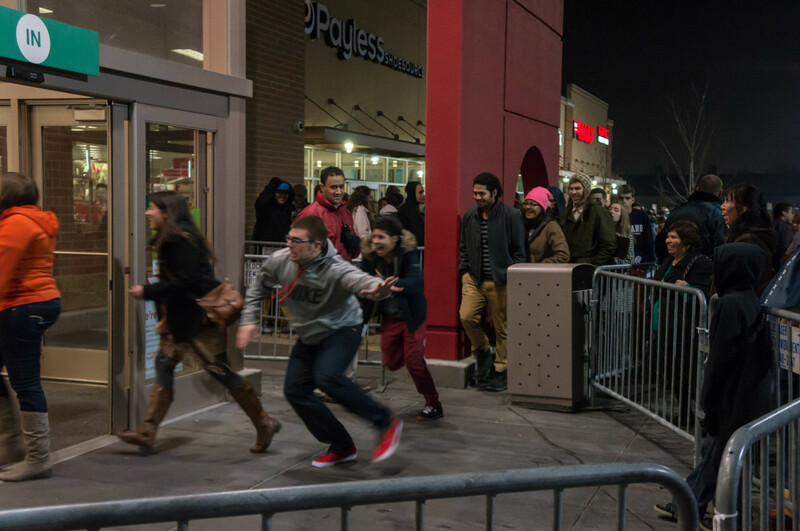 Frantic shoppers rush into their favorite stores to get the best deals of the season. Who or What Is Bad Santa? The first time I heard one of my friends mention Bad Santa, I had no idea what he was talking about and was quite curious about what he was referring to. After all, Santa Claus always came to my house growing up, and I didn't think there was anything inherently wrong or bad about that. To be honest, I was constructing my argument to defend St. Nick before my friend could even give me his explanation of who or what Bad Santa was. My friend explained that what he was referring to as Bad Santa was the negative, selfish, and often commercialized spirit of Christmas that tries to sneak in and take the place of the spirit of love, peace, and giving that the Christmas season is traditionally known for. 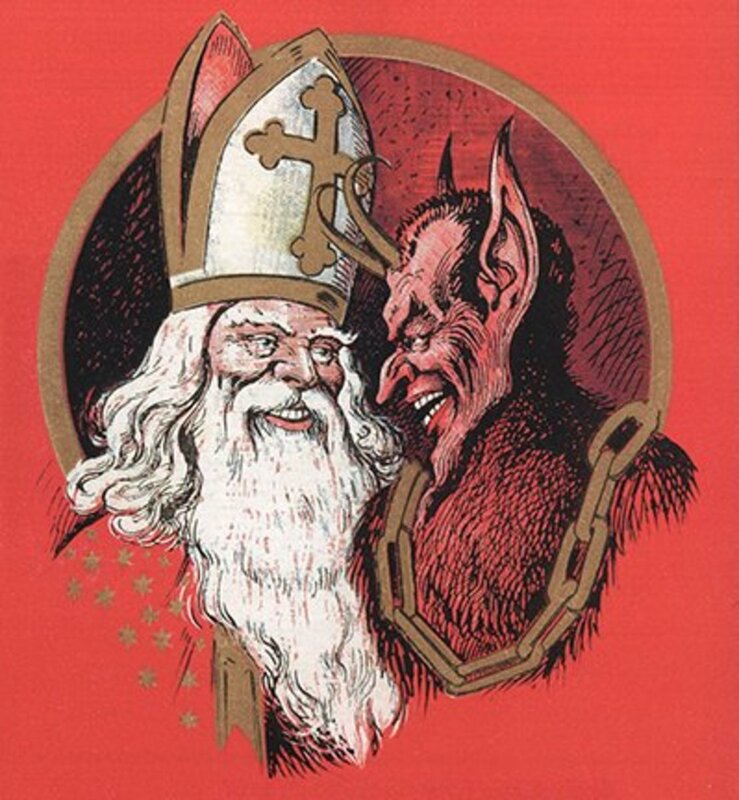 He wasn't saying there was anything wrong with Santa Claus as long as his motives fall in line with the true spirit of Christmas; it's only when the motives behind Christmas activities start to show a dark, sinister, more selfish side that Santa becomes bad. At that point, I realized that Bad Santa and the Santa Claus that I had grown up with were not the same thing, and I quickly came in to agreement with my friend that I wanted to do my part to stop Bad Santa in whatever ways I could even if it's just by sharing a smile or humming a Christmas carol. Unfortunately, a recent poll shows that Bad Santa is alive and well as 23% of people polled admitted that they were "willing to behave unethically if it meant leaving a retail store with the last hot holiday gift." This proves that that the fight against Bad Santa is real and we need to be more diligent now than ever before. 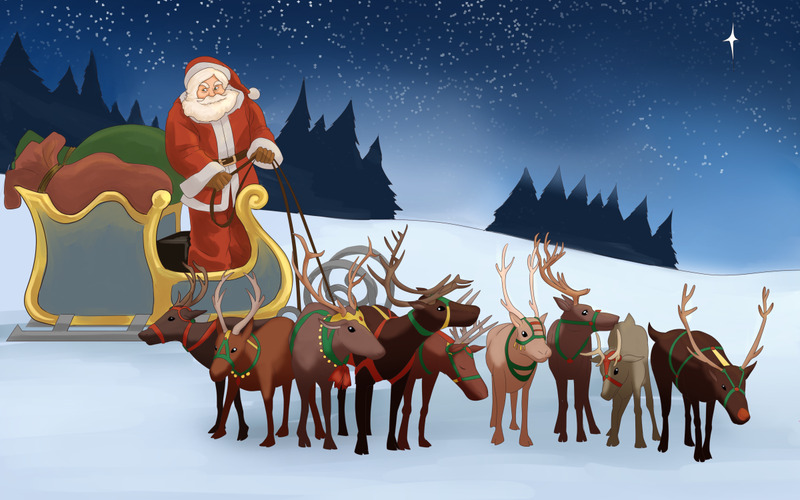 Do you feel like Bad Santa is becoming a major problem during the holiday season? 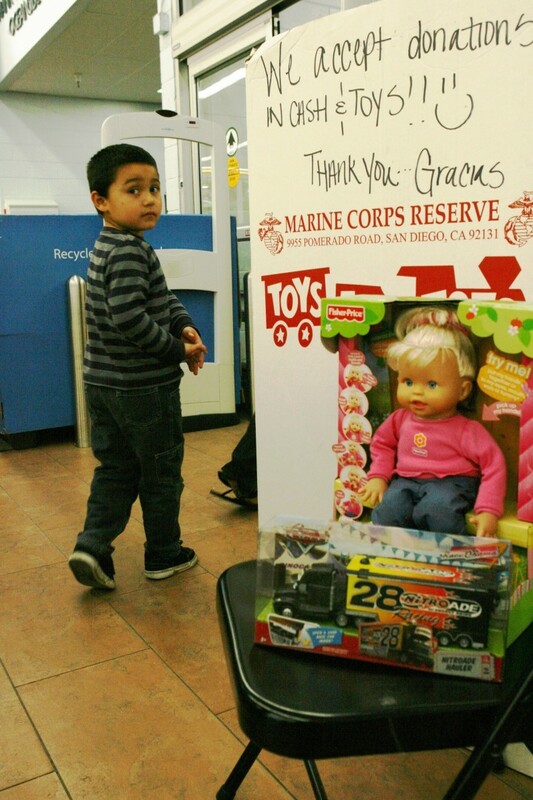 Throughout the Christmas season Toys R Us participates in the Toys for Tots toy drive. 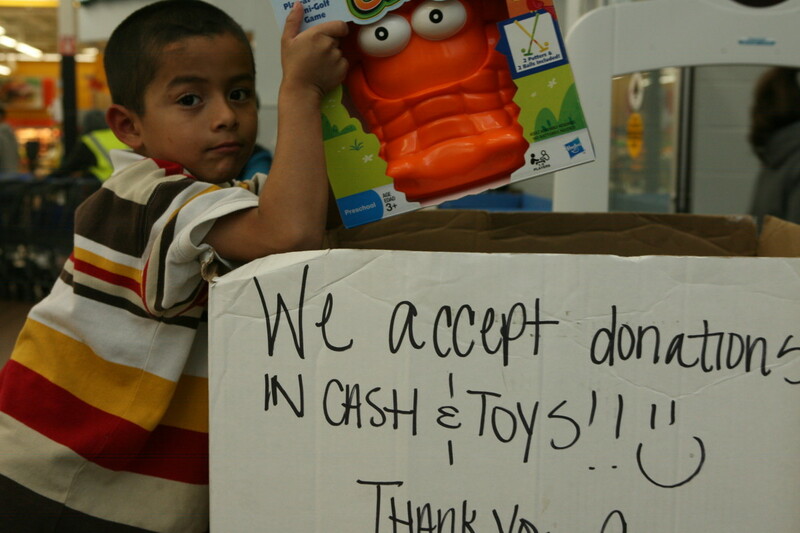 It's an easy opportunity for people to donate new toys (or money for purchasing toys) to this charitable foundation that provides toys for the less fortunate children in the community. I know it's a little cheesy, but I was really excited that as a cashier I could play a small part in helping these donations happen. Every time a customer came through my line, I would ask this simple question: "Would you like to make a donation to Toys for Tots today?" People could make donations as small as a dollar or if they felt that it was within their means they could donate any amount over a dollar. Of course, I didn't expect that every person who went through my line would donate to Toys for Tots, but deep down inside I kind of hoped they would. Now don't get me wrong. I know that some of those people going through my line didn't have an extra dollar to donate. 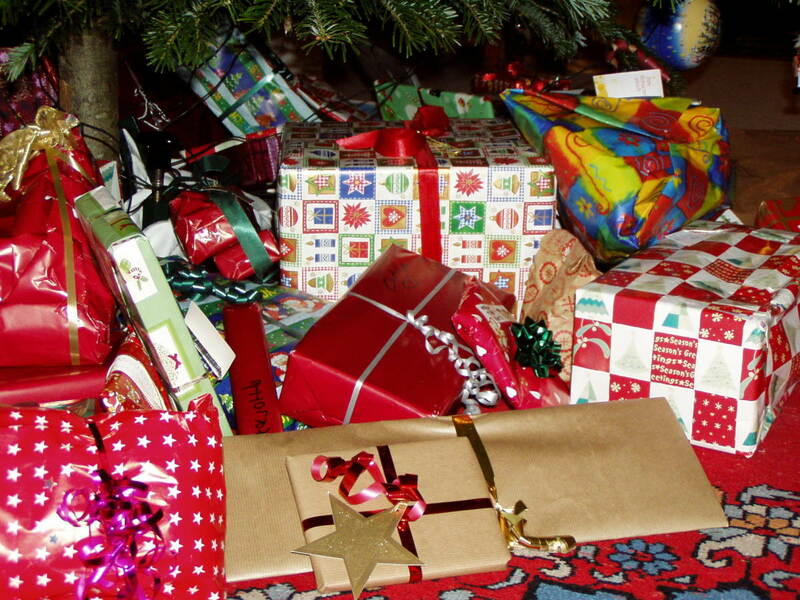 Many people scrimp and save to be able to purchase even small gifts for their own children, and I think that's amazing that they would take from the little bit of money they have to give their children something to bring a smile to their faces and a little extra sparkle to their eyes. 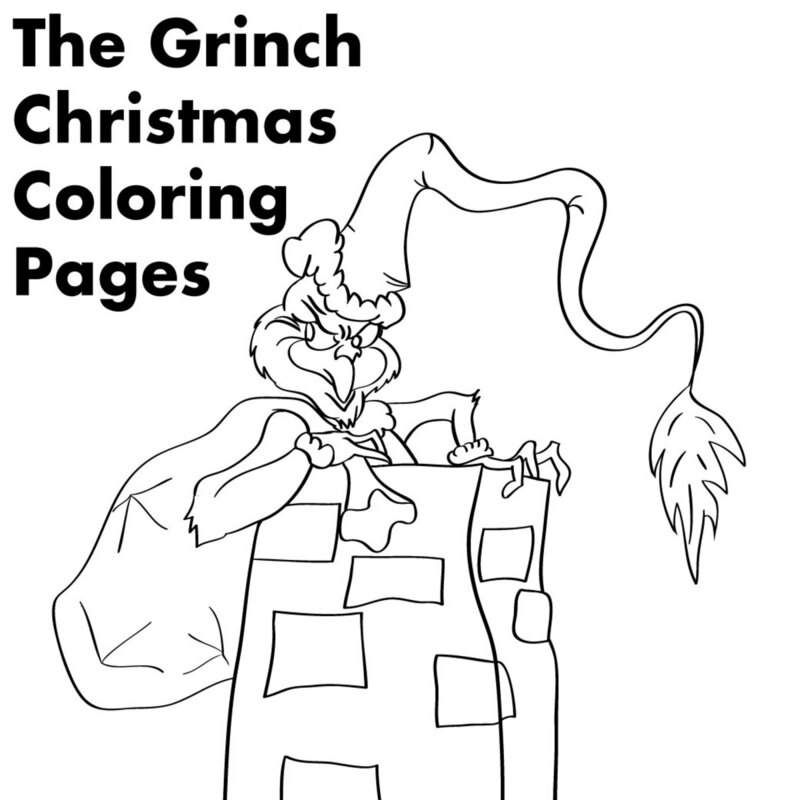 Day after day I listened to Frosty the Snowman and other bright cheery Christmas songs that I began to realize more and more had nothing to do with the true meaning of Christmas. 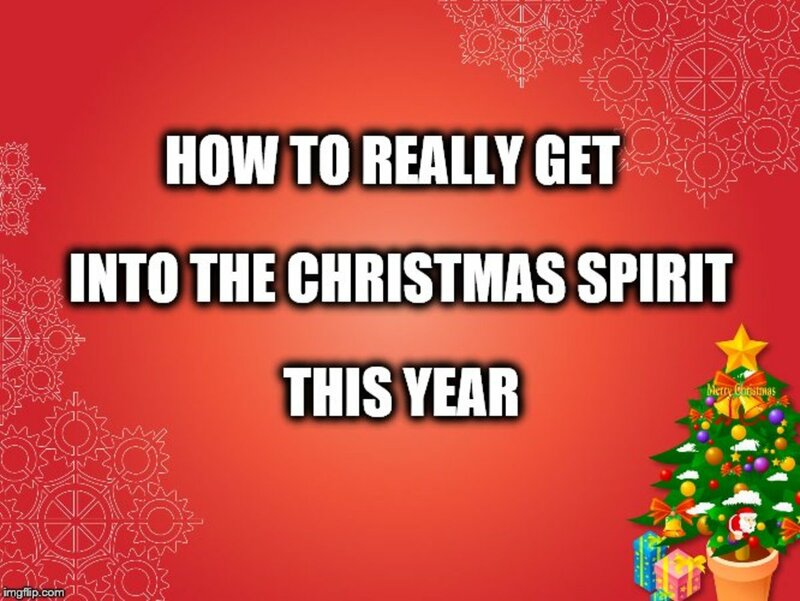 I'm a naturally happy person, so I'm still drawn to those happy sounding songs, but somehow it did start to bother me a little bit that the 45 minute looped Christmas soundtrack I was constantly listening to over and over again really had nothing to do with what Christmas is all about. To add salt to an open wound, my fun opportunity to help people donate money to Toys for Tots wasn't going all that well. I know it's not my place to judge, but it really was mind boggling to me how people could come through my line with multiple shopping carts full of toys for their children and then not even have one dollar to spare for the Toys for Tots drive. It made me feel like Bad Santa was really winning out. People were so focused on getting Bratz dolls and PS3s (which we were almost always sold out of leading to more grumpy customers) for their own children that they would gladly throw all manners and patience aside. Then they couldn't find enough of the true Christmas spirit within them to give a dollar to a kid that would be happy to have any gift at all. It really made me sad at times. In fact, I'm a little embarrassed to admit that after being told "no" so many times, there were a few times that I didn't even bother asking people if they wanted to donate a dollar. One afternoon, a woman came through my line who was a little less than friendly. She was obviously in a hurry and wasn't much interested in small talk about the holiday season or even the weather. I remember thinking it was a little odd that she had a little boy with her as she was doing her Christmas shopping, and I even felt a little bad for him having to put up with his mom's less than pleasant mood that day. As I finished ringing up her full cart of toys, I asked her if she would like to make a donation to Toys for Tots, and she declined. Then the little boy boy (probably nine or ten years old) put a toy up on the counter and I found out that he was there to make his own purchase using a gift card he had gotten for his birthday from his grandma. He was really excited about his new toy, and he was even more excited to know that he still had enough money left on his gift card that he could buy another small toy later. As he and his mom were about to walk away, the boy noticed the sign by my cash register explaining the Toys for Tots program, and he asked me what it was. I told him that people could donate money to give toys to children who's parents didn't have enough money to buy them toys for Christmas. This sweet boy melted my heart with his kindness and love when he asked me if he could donate the rest of the money on his birthday gift card to the kids who didn't have money for toys for Christmas. It literally brings me to tears to this day when I think of this little boys selflessness. The Fight Against Bad Santa Is Real, and It Can Be Won! 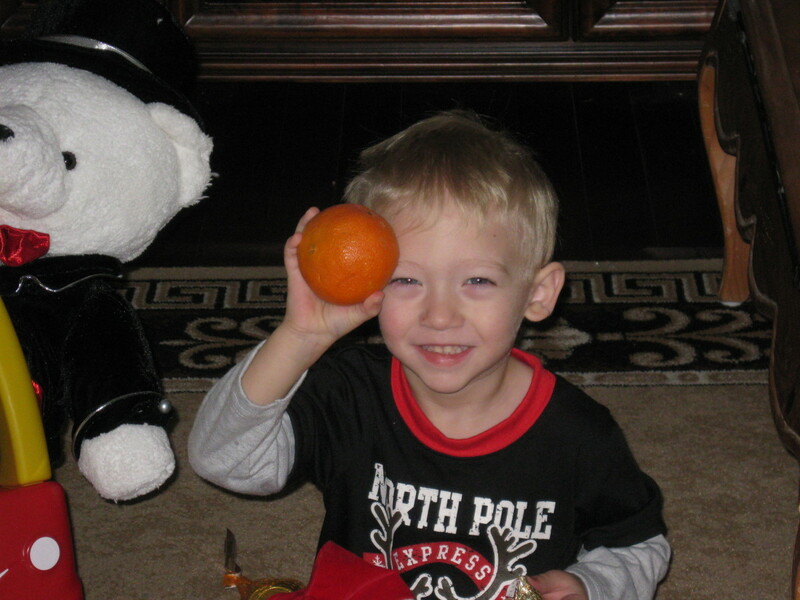 This little boy's small act of kindness taught me that while the battle with Bad Santa was real, he hadn't won yet. Bad Santa hadn't won then, and he hasn't won now. The true spirit of Christmas is still alive, and it is easily spread as those who possess it share their love, joy, light, kindness, generosity, and peace with those around them. 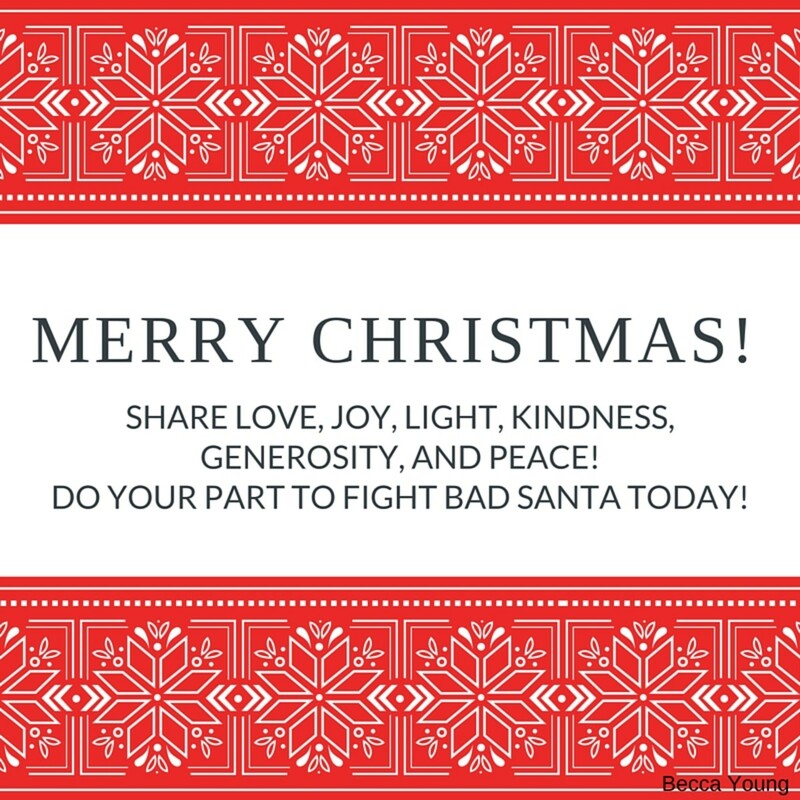 Even the simplest good deeds of sharing a smile or a kind word make a difference in the fight against bad Santa, and it's important that all of us do our part. I'm not saying that anybody has to donate their life savings to charity this year. I'm just suggesting that as we go throughout the Christmas season we will feel a greater abundance of love and joy if we make even a small effort to bring that same feeling to others. Go out and fight Bad Santa today! The Battle is real, but with your help the true spirit of Christmas will win in the end! Take the challenge! Will you pledge to fight Bad Santa by spreading the true spirit of Christmas? Hi Becca, I think or at least I hear people I know are recognizing "Bad Santa". That little boy had the spirit of Christ in his heart in spite of his mother's mood. I will always say Merry Christmas. Thank you for sharing your thoughts on this precious and Holy holiday. Have a Merry and Blessed Christmas. I love giving homemade gifts too. 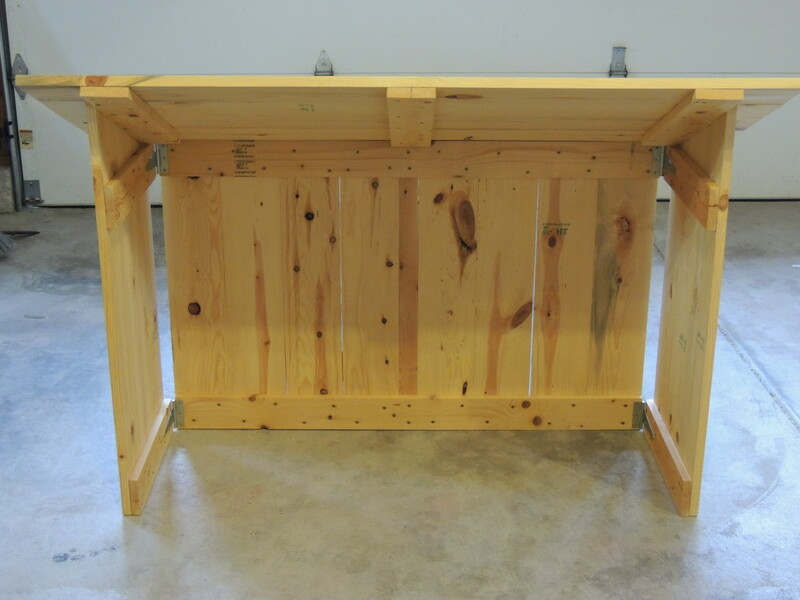 I think it's a great way to avoid Bad Santa and make sure your gifts really come from the heart. I'm sure your children and grandchildren treasure the gifts you give them more than they would a store bought gift anyway. Very sweet story. I've seen Bad Santa and avoid the stores for this very reason. I prefer to make my gifts for my children and grandchildren. I may not be what they want exactly but it usually is all I can afford without catering to Bad Santa. Thanks for the tearful encouragement.